The fashion industry is huge and continues to grow rapidly – according to current growth projections, it will double in the next 10 years, generating up to US$5 trillion annually. Only a few more industries can look forward to such levels of growth. It’s not just big in terms of revenue – it also employs directly and indirectly over 200 million people around the world. In the US, 4 million people work in the fashion industry (www.aafaglobal.org). That’s more than other major sectors, including the auto, fast-food and video-game industries. 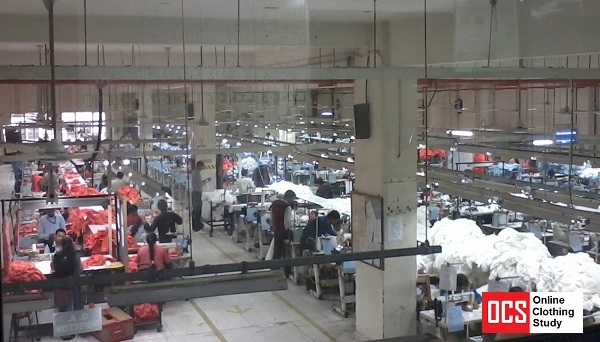 In 20th-century apparel manufacturing become a global industry. Many developing countries adopted the industry as it could provide employment to a large number of people. Apparel quota systems introduced by the USA and the European Union, multi-fiber agreement in 1974 and World Trade Organization had a major roll in establishing apparel industry as a global trade. There were many advantages came to the countries who took the initiatives to establish apparel manufacturing plants. Foreign direct investments (FDI), technology, and job opportunities for the local population are among the main advantages. With the employment there came the opportunity to learn new management skills and the ability to enhance the knowledge about the global business environment. Today, it is possible for anyone with the right skill set and the right attitude to work anywhere in the supply chain. Many buyers and manufacturers are working hand in hand to improve the efficiency and the effectiveness of the supply chain giving many employees the opportunity to work in many areas within the supply chain. Apparel Merchandisers are in the forefront of this trend and have much better opportunity to place themselves in anywhere in the supply chain. In most manufacturing companies, merchandisers double their role as marketers too. They engage with buyers, propose styles, work on development samples. Further, they have the first-hand access to all fabric and raw material suppliers giving them the opportunity to work with buyers and suppliers. It is important to understand this unique opportunity and capitalize on it. As a merchandiser, you have the opportunity to interact with your buyers more than any other department. Use this opportunity wisely. Try to understand the buyers’ expectations and thinking patterns. Instead of pushing your agenda, try to understand what your buyers’ concerns are and try to address them. While this will help to improve your reputation with the buyers, most importantly it will help to understand the buying side of the business such as buyers KPI’s, areas of concerns, how the wholesale and retail side of the business operates. This is an essential knowledge to move up or laterally in the supply chain. Another hurdle in the current merchandising department is that it is segmented into many areas. In the past, merchandisers were responsible for marketing, organizing samples for buyer meetings, getting development samples made and placing & following up bulk production. However, now this is divided into many areas and use multiple merchandizers. Though, this is better for the companies, in long-term this will hinder the opportunity for the merchandisers. They have limited knowledge on how the total process work. It is essential to have an overall in-depth understanding when you’re focusing on a position in the global apparel industry. Another important area to focus on is, taking a closer interest in the work you do. Having a good understanding of different fabric types, how to tell them apart, compositions, how to read a test report, various fabric treatments such as easy care, wrinkle free and so on. The point is, you should be in a position to have an informed conversation with the people who are coming from various disciplines and knowledge levels. Since your working and competing with people from around the world, been on top of things certainly help to stay relevant. About the Author: Dr. Charm Rammandala is the founder & CEO of IStrategy USA. He counts over two decades in fashion supply chain in diverse roles as Lean Manager and Model himself. He is an expert in rolling out programs in Lean apparel manufacturing and Sustainable labour costing. His former positions included being the first Lean Technologist at George Sourcing Services UK Ltd.
How you can enhance your merchandising career in the apparel industry?